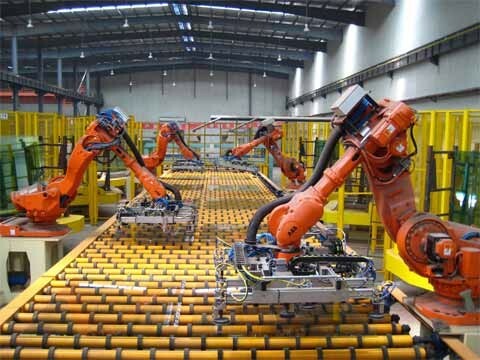 By means of the non-contact temperature measurement on glass surfaces cracks, thickenings, thin spots or pimples can be detected in the production process of glass. 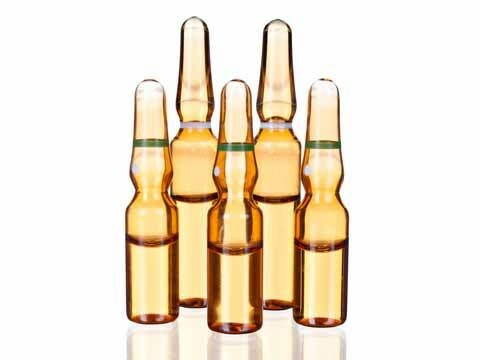 Within the temperature range from 100 °C to 3000 °C the non-contact temperature measurement on glass with DIAS measurement technology is possible. The wide range of this temperature measurement range as well as hard environmental conditions make special demands to the measurement devices. 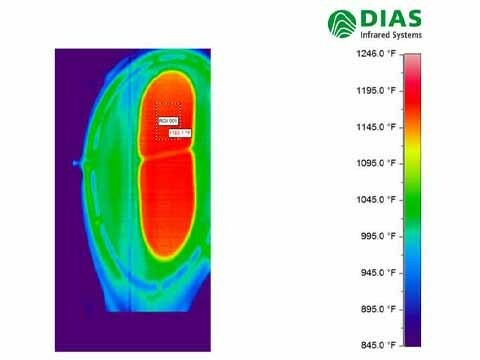 The DIAS infrared cameras, IR line cameras and pyrometer measure the temperatures on glass surfaces and glass melts in special spectral ranges to minimize the influence of the emissivity and so to have correct measurement results. There are some application examples below. DIAS measurement devices are mainly used in the glass tank and for the production of float glass and container glass. “Glass application – Pyrometer and infrared cameras for the glass industry”. By means of the DIAS pyrometers PYROSPOT the temperatures within the float glass process can be measured on liquid glass as well as on solid glass (cooling down process). In this way the quality of the float glass can be monitored. The DIAS PYROSPOT pyrometers of series 3x with fiber optic cable are specifically designed for the non-contact temperature measurement on glass. In contrast to thermocouples they are a well-priced and long-term stable alternative. 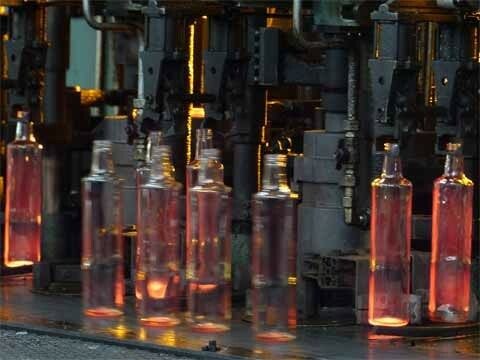 Glass ampules are heated by a burner to a particular temperature that is crucial for the further processing of the glass. DIAs has developed special pyrometers for the temperature measurement through the flame of the burner. Before glass panes can be bended the furnace has to have the correct temperature for the heating process. Elsewise quality problems can occur. 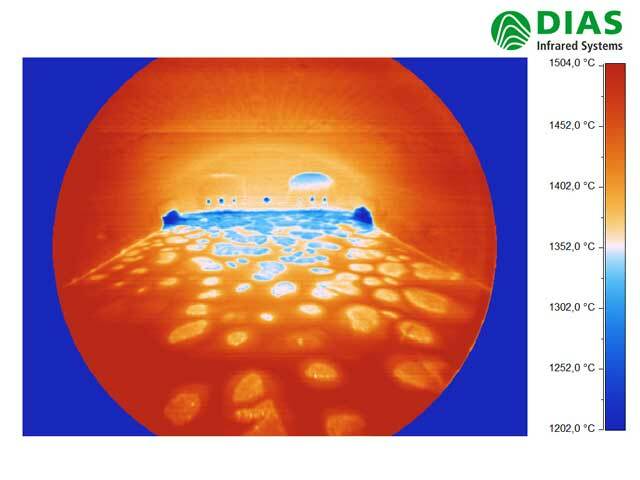 The DIAS Infrared Line Camera PYROLINE can measure this temperature without contact precisely.